You asked for it, you got it! Welcome back to THE ROOF for yet another reason to party with a purpose and benefit the WiSH Education Foundation. 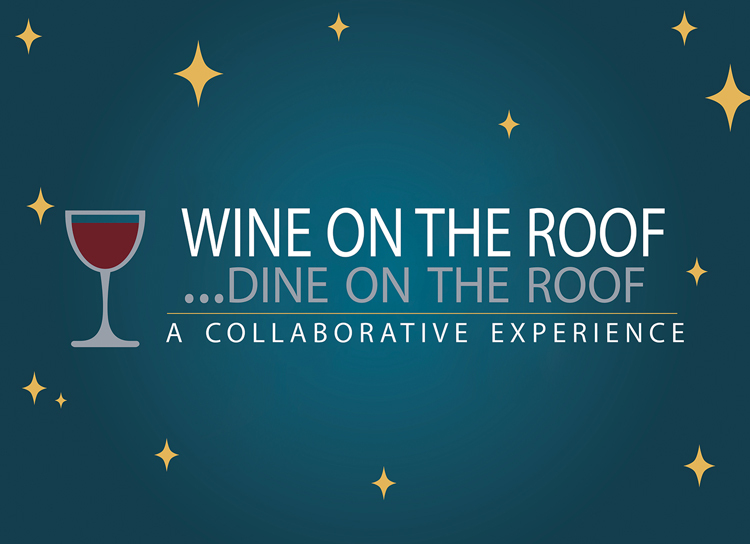 Introducing WINE ON THE ROOF, Dine on the Roof…A Collaborative Experience. On May 17th, join us once again on top of the Macy’s parking garage at Westfield Valencia Town Center from 6pm to 10pm to enjoy something truly brand new. Our wonderful partner and host, Eve Bushman, has done it again with a multi-course, sit down dinner that brings us a collaboration of amazing valley chefs and wines curated specifically for the event! 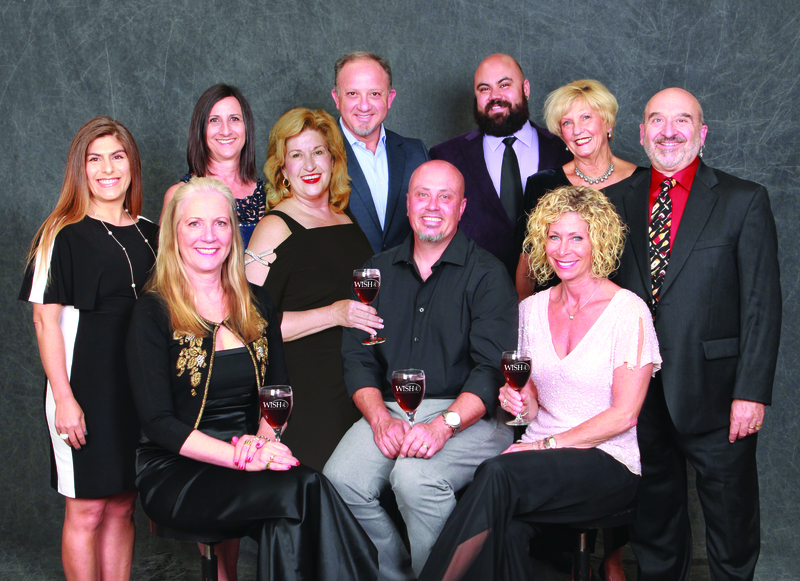 Hosting along with Executive Director Amy Daniels is Eve, Marlee Lauffer, President of Henry Mayo Newhall Hospital Foundation, and Steve Lemley, co-owner of SCV Custom Crush Services. Lemley will curate the wines from his local facility that houses over twenty different wineries. Most, if not all, will be making their debut at Wine on the Roof – and we will have winemakers seated throughout the venue to allow for interesting and knowledgeable discourse. When you arrive you’ll enjoy live music while you receive your wine glass for your first tasting. Have fun in the step-and-repeat and be treated to tabled and passed hors d’oeuvres prior to being seated for more appetizers, main courses and multiple desserts that culminate in an extraordinary culinary experience. Each course has been expertly paired with wines to sip, savor and enjoy. Keep checking the WiSH Education Foundation Facebook event page for details, sneak peeks of the courses to be served and special treats that await you. As always, stay updated on all of the exciting events happening with WISH on our website. Only 200 tickets will be sold and they are available NOW. Tickets are one for $150, two for $275. Please see our website for tickets (www.WiSHscv.org, 21 and older only, please). WISH would like to thank our valued participants and appreciated sponsors – without you we could not make the difference that we do. WiSH continues to bring interesting and one of a kind opportunities to our region. Just recently, we gave away a brand new AutoNation Vehicle, raised money for our district libraries through the SCV Charity Chili Cookoff and we are looking forward to inspiring our young women in the valley through Women and Girls in Business…Inspiration for the Future, on May 1. Find out more on our web page, including the upcoming Tom Petty Tribute concert on June 30th , the Burrito Bowl on August 14th and of course the popular Cocktails on the Roof on September 7th. As an education foundation dedicated to providing support to our Wm. S. Hart District schools (grades 7-12; 23,000 students), we work diligently with individual and corporate supporters to help fund programs and initiatives that are not funded by tax dollars alone. Funding does not meet need! Our goal is to always say yes to providing the tools for success for our local public school students. We encourage and invite your support and sponsorship. Please visit www.WiSHscv.org or contact Amy Daniels at wish@hartdistrict.org for more information.